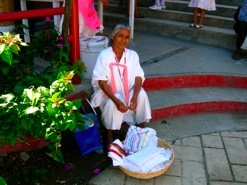 Gradually, ARMONÍA developed a way of meeting people’s needs through the facilitation of community initiatives. Our Christian Urban Transformation Centers (UTC), provide people with a meeting place where they can get together and seek solutions to their most urgent problems and where children can safely learn about the love of Jesus. Programs aimed at dealing with problems of malnutrition, health, education, housing, unemployment and spiritual values were created to stabilize the local community. Establishing good relationships with the communities implies giving ourselves the opportunity to learn with, as well as from, the community. 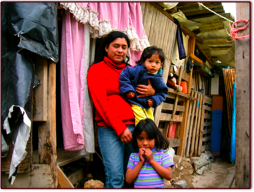 ARMONÍA walks alongside the poor and the culture of poverty instead of coming with an ‘expert’ approach. Going at the locals’ pace is important in order to be relevant to their needs. This is reflected in our ability to meet people at their own level. These factors apply to the rhythm at which ARMONÍA works, the language we use, the services we provide, the goals we set alongside the people, and our approach to evangelism. ARMONÍA seeks to communicate with people through our actions, by following Christ’s example of providing a concrete, practical application of love and Christian values. To accompany this, regular Bible studies are given. Originally they were set up in a community member’s little home and later at the UTC, understanding that our language had to be adapted for a largely illiterate congregation. ARMONÍA continued and God took to us to many other communities among which another two Community Centers and an Indigenous Students Residence were built.